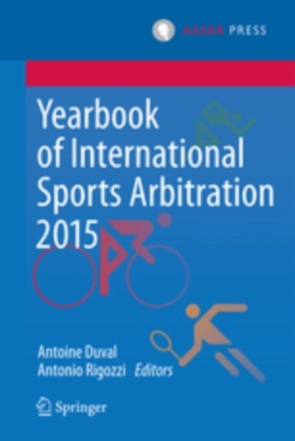 In contrast with the field of commercial arbitration, where the New York Convention is often considered the only viable option in order to enforce an award, international football organizations, together with the Court of Arbitration for Sport (“CAS”), offer an effective enforcement alternative. This article aims at outlining the main features of the indirect enforcement of CAS awards in football matters in light of a recent case. The dispute at hand involved a football club affiliated with the United Arab Emirates Football Association (“UAEFA”) and a player’s agent. The club at hand owed a commission to the agent following the completion of a player’s transfer. The agent ultimately won the case before the CAS and the latter awarded him monetary compensation against the football club. Shortly thereafter, means of enforcement against the club were sought. It is widely recognized that the awards rendered by the CAS do qualify as awards under the New York Convention and may thus be subject to the classic enforcement provided therein. Whilst this is to be welcomed because it offers alternatives to the prevailing party seeking recognition and enforcement of the arbitral award, the following will show that another route exists, which may prove just as effective whilst saving both time and money. Indeed, though the United Arab Emirates did ratify the New York Convention, the general critics mentioned above also applied in the case at hand. This meant that going down the route of direct enforcement against the UAE-based football club would have had several drawbacks. First, the translation workload in order to comply with the local procedural rules was significant. Second, since the recognition procedure was due to take place in front of national courts, a local law firm would have had to be retained. Finally, there was no clear timeline as to when exactly the due compensation would effectively be paid. Luckily, the world of football organizations provides for an alternative path, which proved to be highly effective at hand. Indeed, as a result of the deep-rooted integration of CAS and of its decisions in effectively all organizational layers of national and international football, the New York Convention is not the only global enforcement mechanism available to a prevailing party in that field. Although it requires to take steps outside that Convention and, as a result, of the entire ‘state-supported’ enforcement system, the indirect enforcement described below nonetheless proves to be a viable alternative for parties involved in football-related arbitration. It all starts with art. 15 para. 1 let. f of the FIFA Statutes which stipulates that the statutes of the member associations shall ensure that, inter alia, all relevant stakeholders must agree to recognize the jurisdiction and authority of CAS. Art. 23 para. 1 let. f provides for a similar obligation with regard to the confederations’ statutes. Pursuant to art. 61 para. 1 of the Statutes of the Asian Football Confederation (“AFC”), to which the UAEFA is a member, the AFC recognizes the CAS to resolve disputes between, inter alia, clubs and intermediaries. Further, according to art. 62 para. 1 of said Statutes, the member associations, among which the UAEFA, shall agree to recognize CAS as an independent judicial authority and to ensure that their members and clubs comply with the decisions passed by CAS. Any violation of these provisions will trigger a sanction on the breaching party, according to art. 62 para. 3 of the AFC Statutes. Finally, art. 19 para. 4 of the UAEFA Statutes provides that each club, upon application for affiliation, shall provide a declaration whereas it undertakes to accept and implement the decisions rendered by the CAS. In light of the above, the rules of football organizations put in place a terraced indirect enforcement mechanism regarding CAS awards, whereas each club undertakes to comply with such awards vis-à-vis its home association, each such association being in turn similarly obligated vis-à-vis FIFA and its own Confederation. The latter finally has the duty to ensure that its affiliated associations recognize the authority of CAS, thereby closing the loop. The broad sanction mechanism at every stage leaves considerable discretionary powers to the competent bodies in order to appropriately pressure the breaching stakeholder, on whichever link in the chain the latter may be, into complying with CAS decisions. The FIFA Statutes do not provide for any particular body directly tasked with the enforcement of CAS awards against FIFA’s affiliates and their stakeholders. Nor is there any particular procedure enshrined in the FIFA Statues as to how the indirect enforcement of CAS awards shall take place. In particular, art. 64 FIFA Disciplinary Code only applies to CAS decisions in appeal arbitration proceedings regarding the decisions of FIFA and not to CAS decisions rendered in an ordinary arbitration procedure. However, art. 45 of the FIFA Statutes does provide that the Member Associations Committee shall deal with relations between FIFA and its member associations as well as the member associations’ compliance with the FIFA Statutes. The same is true at the level of the AFC, whereas art. 54 of its Statutes provide that the Associations Committee shall be responsible for relations between the AFC and its Member Associations as well as Member Association’s compliance with FIFA and AFC Statutes and Regulations. In other words, both at FIFA and AFC level, a standing committee is responsible for ensuring that the Members comply with the applicable statutes and thus, inter alia, with awards rendered by CAS. Based on the above, we concluded that in order for the competent FIFA and AFC standing committees to examine the case of a club not complying with a CAS award, they needed to be first convinced that (i) a final and binding CAS award had been rendered against a club affiliated with a member association and that (ii) such club refused to comply with said award. Second, the above-mentioned committees would need to be shown that the national football association has been notified of such occurrence and been asked to take appropriate actions against the club according to its own statutes. From this point in time onwards, the FIFA and AFC standing committees will have been notified that a member’s association has been asked to remedy a matter of non-compliance of an affiliated club with a CAS award and thus such association is now under a statutory obligation to ensure compliance from the club, as described above, or else may itself be found to have breached the FIFA and/or AFC Statutes and sanctioned accordingly. Shifting the focus back to the case that prompted the idea of this blog, once the route leading to indirect enforcement was mapped, we proceeded with gathering the evidence needed, i.e. that the CAS award was final and binding upon the football club. Section 193 of the Swiss Private International Law Act – which applies to international CAS proceedings – enables the parties to request an enforceability certificate from the competent state court regarding an award rendered by an international arbitral tribunal with its seat in Switzerland. This document certifies that the award in question is final and that no appeal can be filed against it. In the case of the CAS, the state court competent for the issuance of an enforceability certificate is the Tribunal cantonal, in Lausanne. Once this certificate was obtained, we filed it together with a copy of the award to the competent national association, the UAEFA, urging the latter in writing to request from the club that it complied with the CAS award, or else the club would be sanctioned. Both the competent standing committees of the FIFA and of the AFC received a copy of that letter. From this moment onwards, the machinery of the indirect enforcement mechanism was switched on and we knew that leverage existed at every level, up until FIFA, to ensure that each stakeholder, be it the UAEFA or the AFC, pressures its affiliated bodies, and, ultimately, the club, into complying with the CAS award. In the case at hand, this method proved to be successful. Indeed, as a result of the aforementioned steps, the AFC promptly contacted the UAEFA, requesting this matter to be solved and the football agent received the awarded compensation from the club within a few weeks after the UAEFA, the AFC and the FIFA were notified as described above. This case shows how operating outside the New York Convention can prove both cost- and time-effective. When used properly, the indirect sanction mechanism put in place by football organizations proves to be a proper alternative to classic enforcement proceedings and shall in any event be considered as a viable option under similar circumstances. Flannery/Merkin, Arbitration Act 1996, 5th Ed., Oxon, 2014, p. 356. V.V. Veeder, Is There a Need to Revise the New York Convention - Key note speech, in: ‘The Review of International Arbitration Awards – IAI Forum’, International Arbitration Institute, 2008, p. 183 et sqq., p. 186. Gaillard, ‘The Urgency of Not Revising the New York Convention’, in: The New York Convention at 50, 2008, p. 689 et seqq., p. 690. 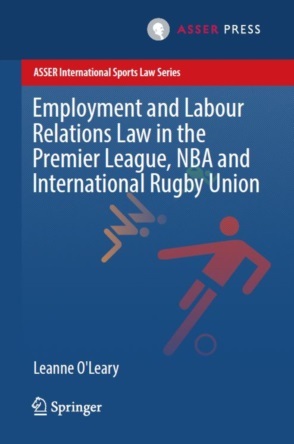 Nafziger/Ross, Handbook on International Sports Law, Edward Elgar 2011, p. 40; Rubno-Sammartano, International Arbitration Law and Practice, 3rd Ed., JurisNet, 2014, p.1709; Nolon, Arbitration and the Olympic Athlete, in: McCann, ‘The Oxford Handbook of American Sports Law’, OUP 2017, p. 444. Art. 15 para. 1 let. f of the FIFA statutes reads as follows: “Member associations’ statutes must comply with the principles of good governance, and shall in particular contain, at a minimum, provisions relating to the following matters: […] all relevant stakeholders must agree to recognise the jurisdiction and authority of CAS and give priority to arbitration as a means of dispute resolution […].